About Natalia B. Message Natalia B. 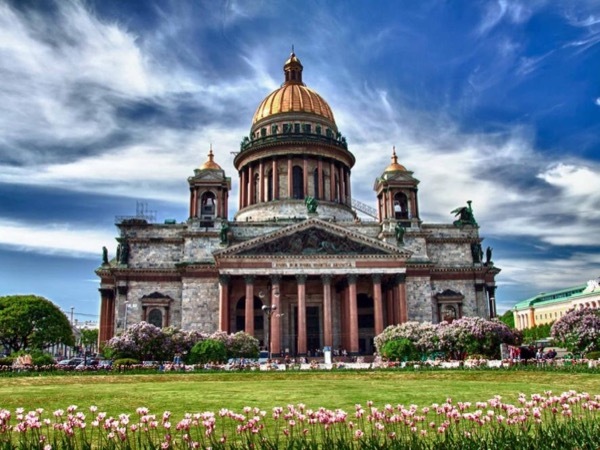 Our row day tour of St. Petersburg was almost perfect. Due to the unfortunate change in guides, our reservations for Catherine Palace were cancelled but our new guide did a great job in arranging an alternative itinerary. Natalia was an excellent guide. Her English was outstanding and she was very knowledgeable about each place we visited. Another unfortunate incident was a very long line for the Peterhof Palace but again, Natalia did her best to revise our itinerary and we visited almost every site. Without question, Natalia is the best! She patiently guided us through the booking process, providing us reassurance on the Russian Visa process in getting off a cruise ship. Further, she worked closely with us to maximize our two days in St. Petersburg. As a result, we saw so many of the major attractions, with pre-arranged tickets and entrances. Natalia is a personable, enthusiastic guide. Her English is flawless and her knowledge of history is impressive. Our days in the city were memorable! TOUR GUIDE RESPONSE: Dear Carol, Thank you very much for your kind feedback. It was my greatest pleasure to guide you in St. Petersburg. You are always welcome back! Natalia has given us with much expertise, enthusiasm and her very sympathetic way to convey information / background knowledge a very good fundament to discover this fantastic city. This city tour ( the best we ever have make in our long life ) is very helpful and a must do for every tourist who want to see and learn more, than only the typical standard tours without high quality and competence. Thank you very much, Natalia, for an unforgettable day. Natalia was very professional, knowledgeable and flexible. Due to her personal approach and commitment to ensuring we got maximum exposure to the City, its history and its people all of us rated her tour as the best of any we experienced over the 3 weeks we travelled. She was a great ambassador for the Company and Russia in general and impressed us with her all round experience and information base. All consider this tour the best that we had anywhere over the three weeks that we travelled.